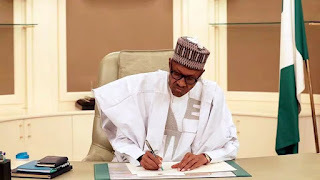 President Muhammadu Buhari Tuesday in Abuja pledged continued support for the socio-economic development of the Niger Delta region. He appealed to all communities in the region to strive for peace through dialogue in resolving all conflicts not only among them, but also with business entities and the authorities. With the signing of the bill into law, the path has been cleared for the establishment of the specialised university in the Niger Delta, charged with training and research in petroleum technologies.